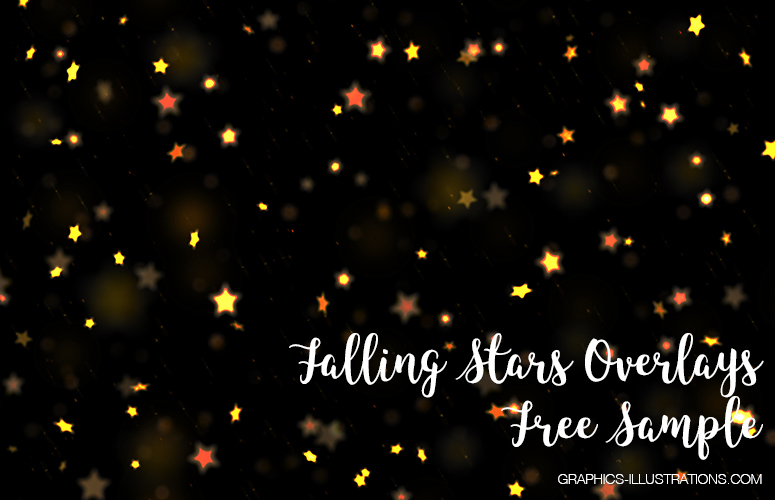 Yes, here comes a brand new download, with free sample included, from my little visual magic factory here on Graphics-Illustrations.Com – Falling Stars Photo Overlays. Who doesn’t like a good photo overlay today anyways? Yep, these are quite popular nowadays. The download link to the free sample is right there below, it is a direct download link, no need to register or subscribe to anything. Just click on the download button and that’s it. It is JPG file, 5616×3744 pix at 300 dpi. However, if you want the full experience, you can get it for 3.95$ right here in Graphics-Illustrations.Com Shop or from my Etsy Shop FiveCatsGraphics or on the GBG (GreenBulbGang.Com Shop). I created GreenBulbGang.Com as the site which serves as a repository of the my best works since I started making visual add-ons for artists (whether it be beginners, DiY explorers and amateurs, scrapbookers, photographers, designers or visual arts professionals). 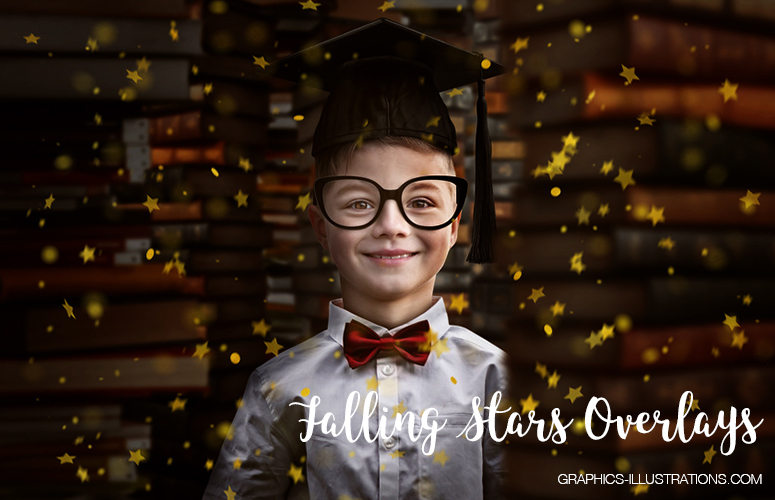 There are hundreds (a little shy of thousand) of all kinds of downloads, photo overlays, Photoshop brushes, patterns, backgrounds and so on. Lifetime GBG membership provides unlimited access to all products on the GBG, you can download them as much as you want, includes commercial license and all products that will ever be published on GBG without any limitations. All this for $57.00. 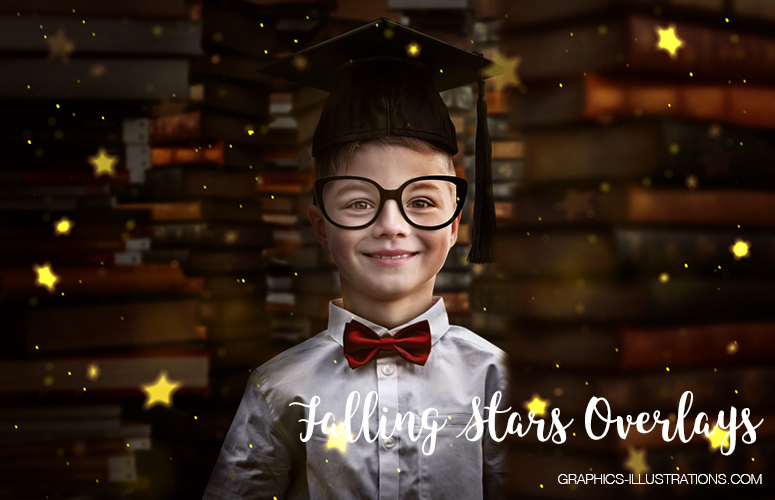 When it comes to usage of photo overlays (including the Falling Stars) – it’s quite simple. These are transparent PNG files so any photo editing application that works with layers will do. Of course, Photoshop is included in this list. 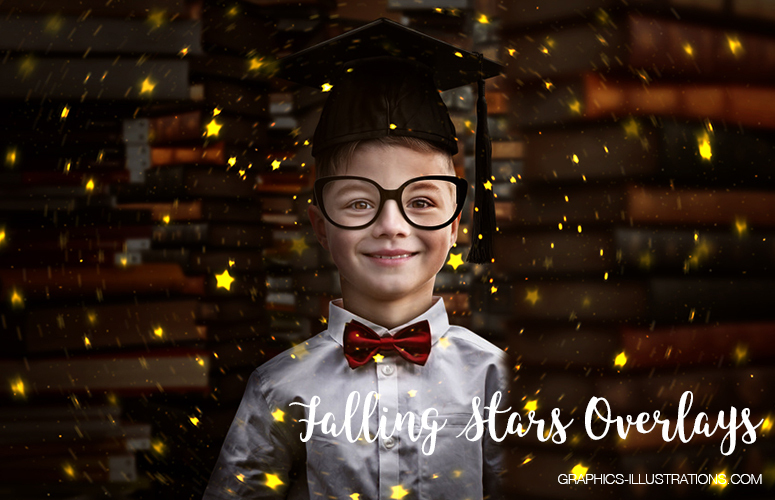 So, open your photography (or any other image) in Photoshop, add a layer above it and get the downloaded Falling Stars Photo Overlays in that layer. Then change the blending mode to screen or else. And that’s it. For support, as always, don’t hesitate to contact me. I am always happy to help. 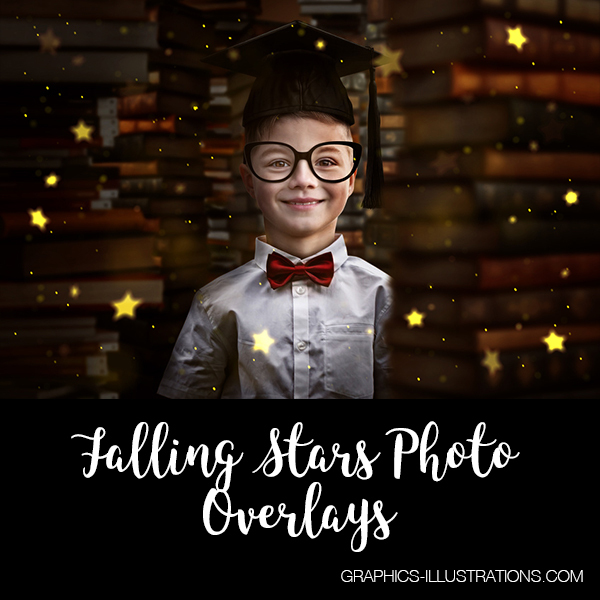 What Can I Do With Falling Stars Photo Overlays Download? Here are some samples on what can be done with these. Of course, these are just a glimpse on what can be done with it. In the end – only your imagination is the limit. OK. I hope you enjoyed this little presentation of my latest products. As always, you can get it here at Graphics-Illustrations.Com, in my Etsy shop and on the GreenBulbGang.Com web site. Until next time. Love. Silvia. Just a small note to say thank you for all your hard work.